All new students are required to register to secure a private lesson program, as well as the other classes. As Boulder Drum Studio is constantly signing up new students on a regular basis, this registration process helps to reserve the student's requested lesson day and time and guarantee the program once the tuition payment has been received. NOTE: Registration is for new students only and must take place at least three days prior to starting your lesson program. We accept students of all ages and a parent or legal guardian must fill out the registration form if the student is under the age of 18. * First contact us by phone to determine your lesson slot. * Next, register using the form below. New To Boulder Drum Studio? Information below applies to the student only. I understand that the tuition must be received by the school at least three days prior to your initial lesson. I agree with the studio's policies. NOTE: If you haven't already contacted Boulder Drum Studio to discuss the day and time for your lesson, a representative will contact you after receiving this form. Thank you. No person shall be discriminated against in any term, condition, or privilege because of race, creed, color, gender, sexual orientation, marital status, religion, national origin, ancestry, age, mental or physical disability. 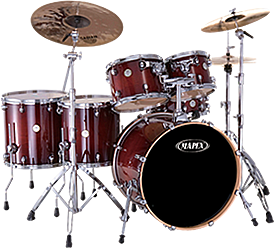 Boulder Drum Studio does not discriminate in the administration of its educational policies, admissions policies and educational programs and activities.